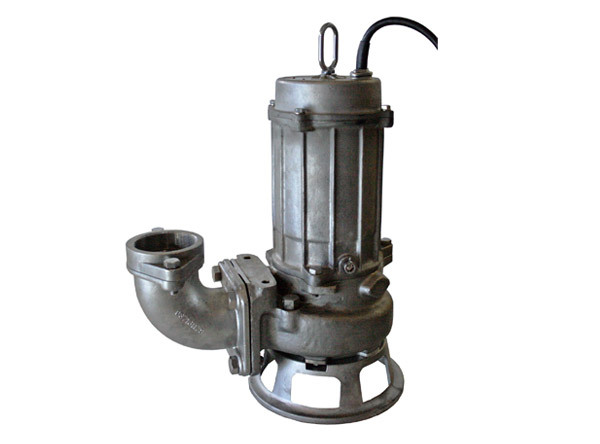 The Tsurumi C-series pump incorporates a channel impeller with a cutter mechanism. The leading edge of the impeller has a tungsten carbide alloy tip passing over a serrated and hardened suction cover. This mechanism can cut long fibrous matter and objects such as clothing, pet bottles, tin cans, etc. which would otherwise block the pump. The Tsurumi CQ-series is based on the C-series design with all wetted parts manufactured in cast 304 stainless steel for application in corrosive environments. 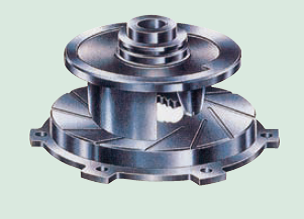 The leading edge of the impeller has a tungsten carbide tip passing over a serrated and hardened suction cover. This mechanism can cut long fibrous matter and objects such as clothing, pet bottles, cans, etc. which would otherwise block the pump.